Monday : University of Edinburgh 2016/17 Gold open access spend analysis. Tuesday : University of Edinburgh Green open access and REF compliance. Thursday : Academic-led publishing supported by the Library and other actors. Friday : The University of Edinburgh’s longer-term strategy for open access. 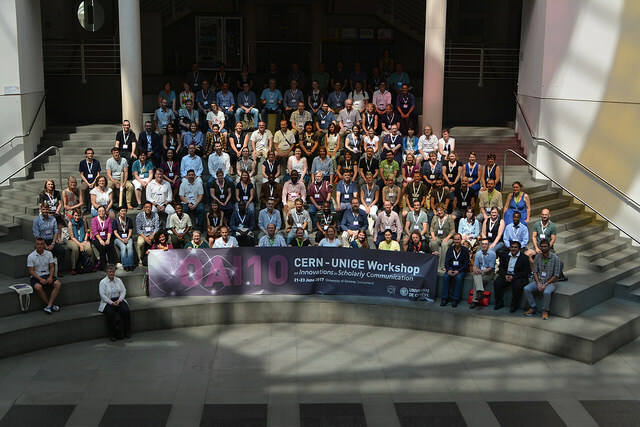 The CERN – UNIGE Workshop on Innovations in Scholarly Communication took place at the University of Geneva in June 21st-23rd 2017. 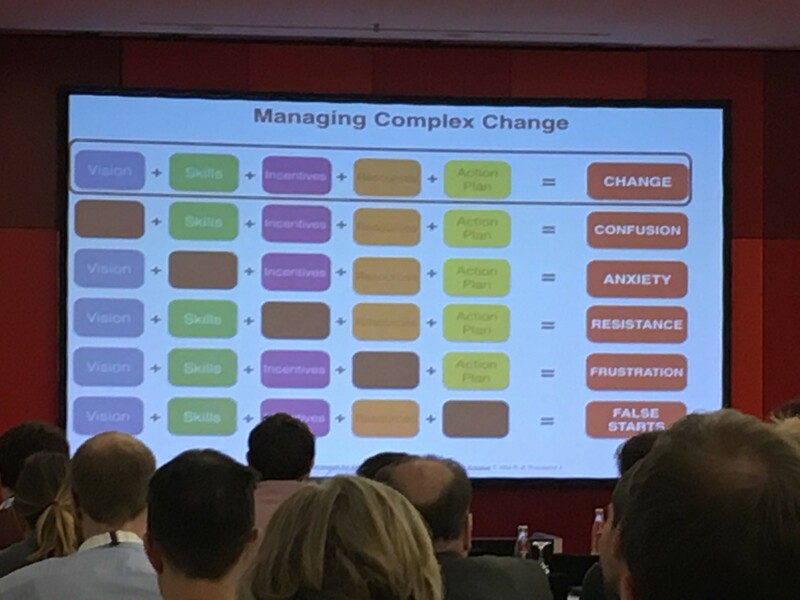 Two and a half days of speakers and workshops left us with lots to think about. The emphasis of the conference is innovations in scholarly communication and attracts attendees from across Europe and further afield. 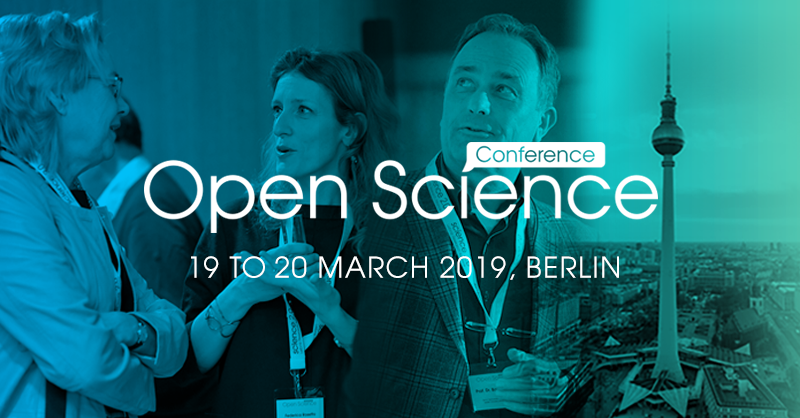 For me, one of the of most insightful sessions was the OA outside session, the experiences of the three speakers with open access really brings home what open access is all about and why it is so important beyond complying with funder’s policies and the next REF exercise. First up ElHassan ElSabry, a PhD candidate, talked about Who needs access to research? an overview of available evidence describing how there is more discussion about OA than actual studies on the benefits of OA. Next up, Dr. Nilam Ashra-McGrat from COMDIS reminding us how privileged we are in our institutions to be able to access so much research through journal subscriptions which non-governmental organization’s (NGO’s) have little or no access to. Her presentation ‘Is open access helping or hindering the international development agenda? Reflections from a consortium of developing country NGOs’ highlighted how many barriers there are to research, even so called ‘free’ research which requires users to register to access it. Finally, on a more positive note Alasdair Rae’s presentation ‘How open access opens doors – reflections on my recent ‘Megaregions of the United States’ paper’ came from a researcher’s perspective and he talked the benefits of open science and how open access opens door, he then talked us through one of his most recent OA papers which was only made possible through the benefits of open science. Slides, recordings and links from all the presentations can be found online here. Which I don’t need to point out is a good thing. But…..
Each of the spam accounts looks to be a real business with URLs – something strange is definitely going on. It’s not just lawyers, but Taxi firms, Pizza restaurants, Plumbers. Try it for yourself. Dry cleaning? Sure ORCID has it covered: ORCID is turning into the Yellow Pages. If I didn’t know any better then I’d say that ORCID is being used as a link farm for Search Engine Optimisation. 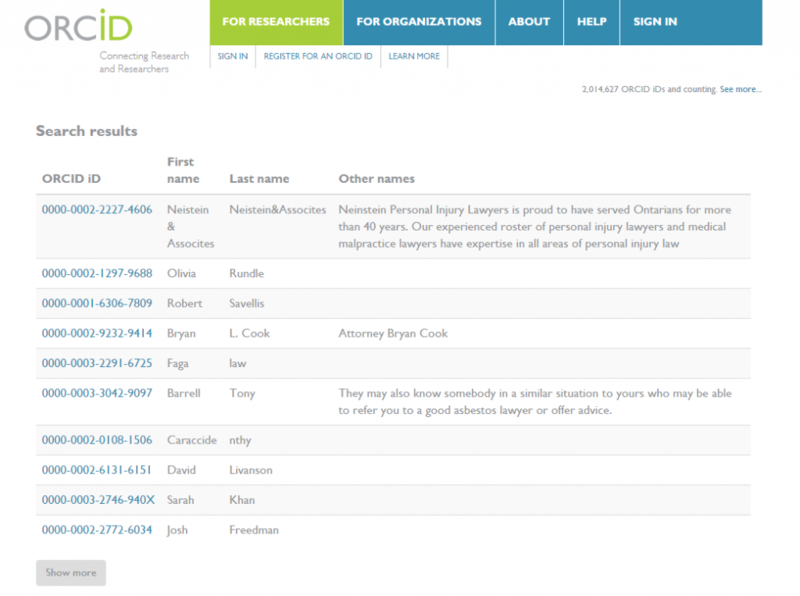 Which is not really a good reflection on ORCID.org at all. I’ve pointed out a dozen spam accounts to support@orcid.org, but other than remove these specific accounts they don’t seem to be tackling the underlying problem. I’ve not looked at how prolific the problem is, but just a visual inspection shows that it is very widespread. So how many of those 2 million IDs are genuine? I really don’t know, and unless ORCID care to comment we’ll never find out. If I was ORCID.org I’d be a bit more bothered about being used like this and made to look unprofessional, but to borrow a brilliant Polish phrase – ‘Not my Circus, Not my Monkeys’. The Scholarly Communications Team estimates that staff at the University of Edinburgh write, edit or contribute to over 500 books annually and the Library aspires to hold two copies of each of these books (one for general loan, one for preservation). In light of this aspiration, Edinburgh University Library has developed a policy relating to the acquisition of institutionally authored books, which encourages staff to donate two copies to the library, wherever this is possible. 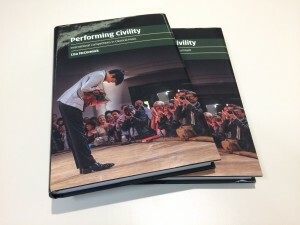 Today we received our first donations under this policy, Performing Civility by Dr Lisa McCormick. Lisa generously sent two copies to the Scholarly Communications Team, which has checked that there is a record of the research output on PURE. The print copies have now been sent for cataloguing and should be available very shortly. Congratulations to Lisa, firstly on her publication and secondly for being the first to donate copies of books under this new policy! Dominic Tate, Scholarly Communications Manager. Thanks to a major digitisation project being undertaken by Library & University Collections we are proud to announce our 10,000th open access item has recently been deposited in the Edinburgh Research Archive (ERA). ERA is a digital repository of original research produced at The University of Edinburgh. The archive contains documents written by academic authors, based or affiliated with Edinburgh that have sufficient quality to be collected and preserved by the Library, but which are not controlled by any other organisations (for example commercial publishers). Holdings include full-text digital doctoral theses , masters dissertations , project reports, briefing papers and out-of-print materials. Current research produced by the University is available from the research portal, which has 101,860 records, of which 28,220 have open access documents attached. 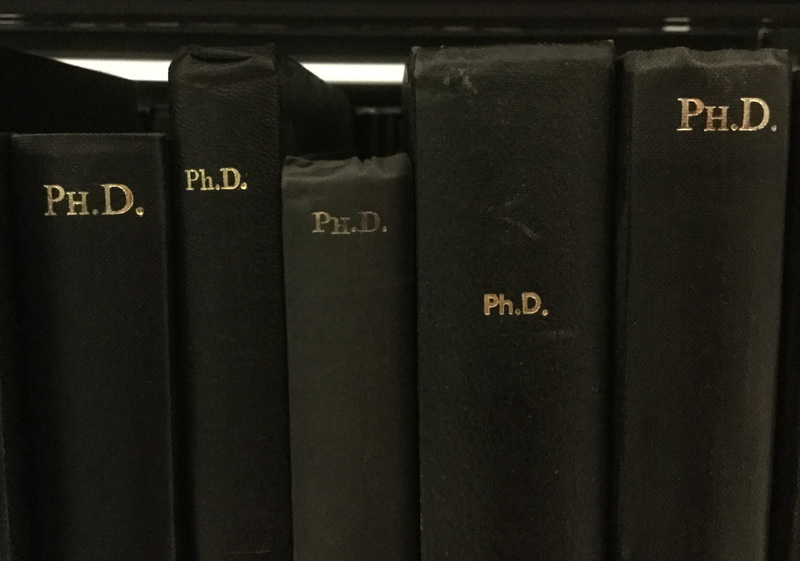 Since 2005 the majority of PhD theses issued by the University have been submitted in a digital format, and around 20 recently completed PhD theses are added each week. Our digitisation activities seek to make accessible older unique content which is only available onsite in the Special Collections reading rooms. The oldest University of Edinburgh thesis archived in ERA was originally published in 1819. Over the last few weeks I’ve been preparing and reviewing various compliance and financial reports for funding agencies on their annual open access block grants awarded to our institution. One of the benefits of having sets of large data in front of you is that you start seeing trends and think of mildly* interesting things to do with it. One of the things I’ve noticed is that one of the larger publishers (Elsevier) issues sequential invoices of the form W1234567 and 12345CV0. 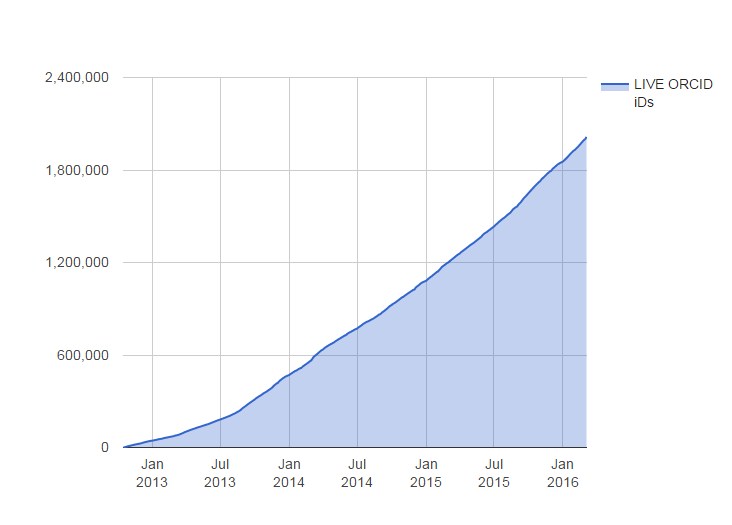 If we had enough invoices spread over a reasonable period of time we could estimate what their hybrid open access revenue is during that time period, and potentially extrapolate further. Just to be clear I’ve only picked Elsevier because they are the publisher that we have gathered the most information about open access expenditure due to their large market share. I looked through our admin records and noted invoice # W1274177 was issued on 30 April 2015 whilst invoice # W1300445 was issued on 22 October 2015. During this 175 day period there appears to be 26,268 invoices issued by the publishers European Corporate Office, which works out at about 150 APCs per day for their portfolio of hybrid journals. Our average APC in 2014/15 (n=65) for this publisher is £2066.81 so their revenue for this period was in the region of £54,290,965, or an APC daily revenue of £310,234. The publishers also issues invoices of the form 12345CV0 from their North American Corporate Office. Noting that invoice 11795CV1 was issued on 19th May 2015 and invoice 12306CV0 was issued on 15th October 2015 this suggests that 511 APCs were charged over the 149 day period, or around 3 APCs per day. Using the same average APC (£2066.81) as before this gives us an estimate revenue of £1,056,140 during the time period, or £7,088 per day. Note that the invoices issued from the regional offices do not reflect the revenue generated in that geographical area. 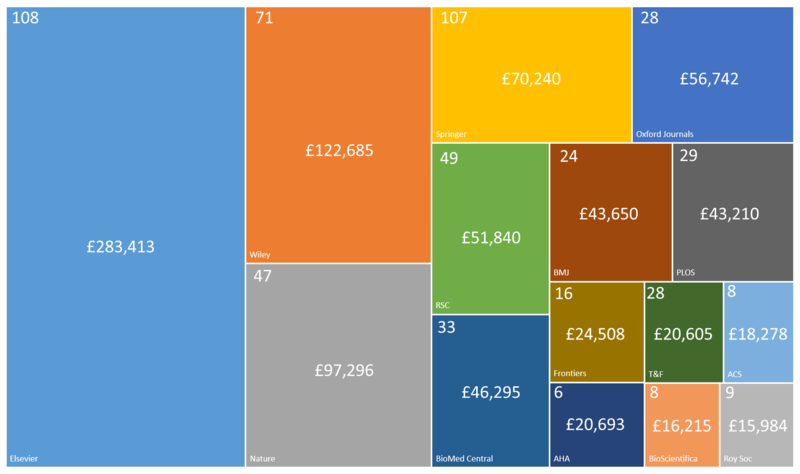 The combined daily APC revenue from the European and North American offices is in the region of £317,322. 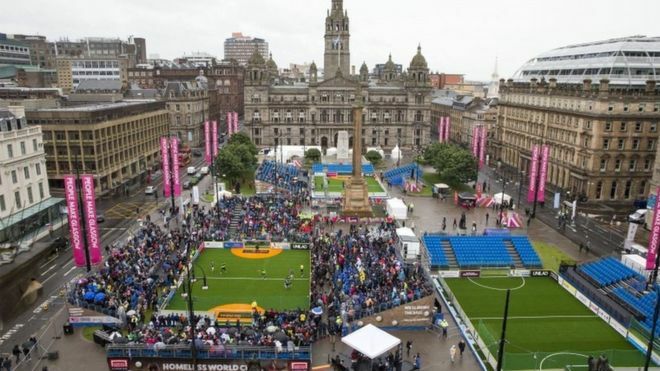 If we upscale this to a full year we can infer an annual APC revenue in the region of £115,822,530. This sounds like a hell of a lot of money, but put into perspective against the company’s total 2014 revenue of £5,773M (figure from the RELX Group annual report) this represents only 2% of their business income.